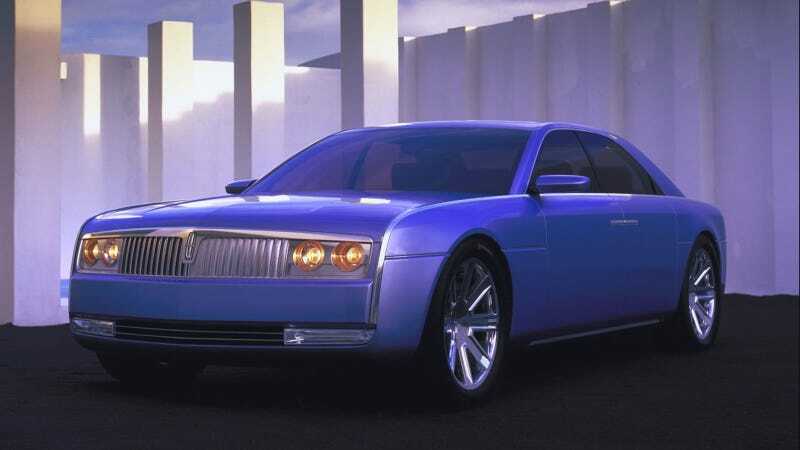 This is the 2002 Lincoln Continental concept. Yes, you read that right: 2002. It’s still so good that it not only puts the current Lincoln Continental to shame, but Lincoln should seriously just go ahead and put it into production. Would it be a kind of admission of defeat for Lincoln to go back to a style it showed off back in the first Bush administration? Yes. But again, look at this car. It’s basically a retro modern interpretation of the infamous 1960s Continental, the Kennedy one. Aside from the styling, the 2002 Lincoln Continental concept was more interesting than you’d think. Ford built two models, as Car Design News reported a few years back: one non-running static display model and one with an engine that ran. What engine? This car got a 6.0-liter Aston Martin V12. Hell yes. Yep, this concept got the engine out of the Aston Martin DB7, which was under Ford control at that time. That is what I call corporate synergy. Ford claimed 414 horsepower for the thing, which is more than adequate. Might the car have been better suited with a big V8? Possibly. But an Aston-engined gigantic Lincoln concept is not a bad thing. And again, this Conti concept was large. The wheelbase alone was over 11 feet (136.6 in.). The whole car was nearly 18 feet long (453.6 in), or about as long as the new Lincoln Navigator. Also, it had fitted Halliburton cases for the trunk, which is the most 2002 thing imaginable. Now, there’s a lot that the current Conti borrowed from this concept. The central spine that runs through the length of the interior, the very midcentury modern metal accents, the name—these are all good carryovers. You know what isn’t carried over? Any sense of grandeur or presence in the total styling. Now, the Lincoln Continental isn’t selling particularly well. Is it fair to entirely blame those poor sales on the car’s weak styling? Probably not. But I’ll do it anyway. The most proud-looking Lincoln today is the Navigator, which is on track to significantly outsell the Conti this year. (Sales figures of the Navigator vs the Conti are about 2300 vs 1500 so far this year, per GoodCarBadCar.) Americans want a big, hulking Lincoln, they’re just getting it from an SUV. 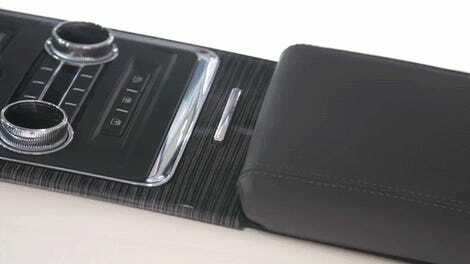 What’s funny is that Lincoln is rumored to be bringing back suicide doors for the Conti. It should go ahead and go full retro while it’s at it. This style looked good in 1961, it looked good in 2002 and every molecule in my body is convinced it’d look good in 2018. Is The New Lincoln Continental The Most Luxurious Sedan From The Back Seat?